Kim Hyun Joong may have just kicked off his 2014 World Tour, but the popular Asian singer is ready to release all new music in his home country of South Korea! Today, the “Unbreakable” recording artist shared the first album cover art online. (See photo above). 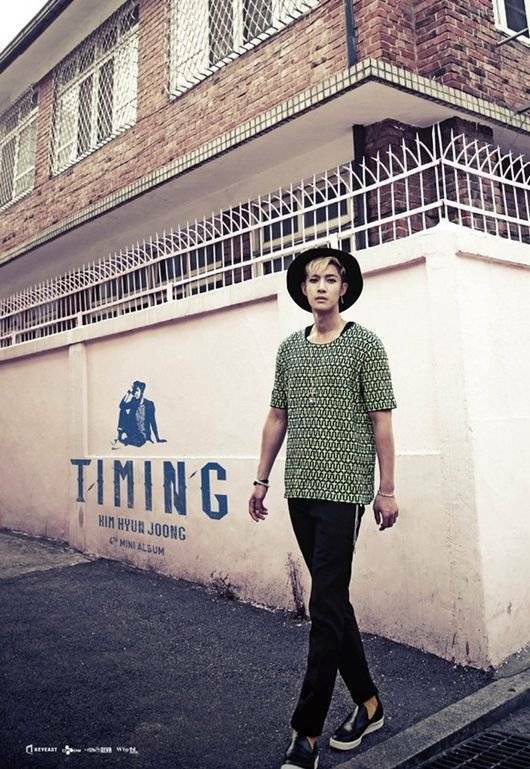 According to SKorean news outlets, the mini album for “Timing” will have four tracks. The following singles are featured on the upcoming project: the dance track “Beauty Beauty”, a hip hop single “HIS HABIT”, and the ballads “Nothing on you” and “Words I Want To Say”. “Timing” drops in stores on July 11th! All rights to the photo belongs to KeyEast. This entry was posted in Entertainment, Music, News and tagged 김현중, Kim Hyun-joong, Timing. Bookmark the permalink.